I am only a failure if I give up. I was one of those people that didn't view myself as good enough to call myself a writer. I was afraid if I told people I was a writer they would expect me to succeed and that terrified me. Thriller writer Evan Ronan, author of The Unearthed, brings you the next edge-of-your-seat adventure in his paranormal series… The man's daughter isn't possessed. But Eddie can't tell him that. The people aren't actually missing. They're hiding. But Eddie can't tell the cops that. He's in way over his head. But Eddie can't tell the deep-cover team of federal agents that. Random, increasing violence plagues the town. The bodies are piling up. Eddie can’t trust anyone. Something inexplicable is happening. And there may be no way to stop it. 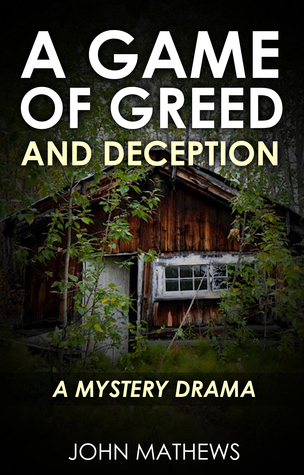 This time, Eddie McCloskey might not make it out alive... The fourth book in Evan Ronan's paranormal thriller series, The Hysteria is approximately 74,000 words. Time for another Top Ten Tuesday! It is a weekly book meme created by The Broke and the Bookish. This weeks topic: Ten books that I want to read in a specific genre. I think I'll so with Young Adult just because there are so many books in that genre that I still want to read. 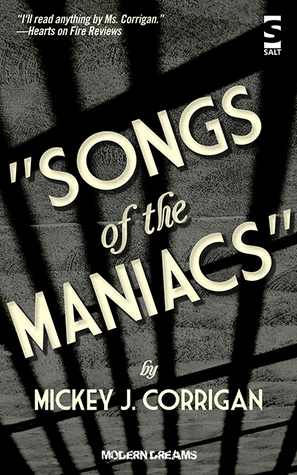 When the real you is someone you don't know, then you sing the songs of the maniacs. From her office at a mental health institute outside what appears to be Miami, a troubled young woman counsels deeply disturbed clients while coping with her own heightening concerns. These include frightening consciousness lapses, violent memories of a high school sexual relationship, a menacing stalker, and an annoyingly arousing visitor who may or may not be insane. All this on a single stormy day at a time when a new mental health disorder has become epidemic and is threatening to distort memory and identity, unmooring the validity of reality itself. The man's daughter isn't possessed. But Eddie can't tell him that. The people aren't actually missing. They're hiding. But Eddie can't tell the cops that. He's in way over his head. But Eddie can't tell the deep-cover team of Federal agents that. Random, increasing violence plagues the town. The bodies are piling up. Eddie can't trust anyone. Something inexplicable is happening. 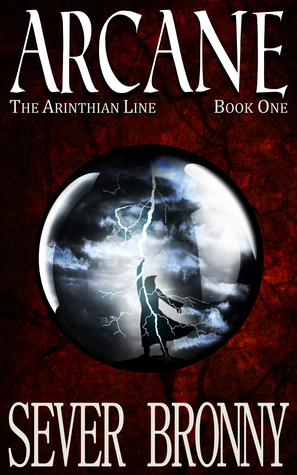 The Lord of the Legion, a vicious tyrant, has overthrown the king in a relentless and murderous quest for seven mythic artifacts--and Augum's mentor, the legendary Anna Atticus Stone, possesses one. While Augum struggles with demons from a painful childhood, a betrayal puts him, his friends, and his mentor through a harrowing ordeal that threatens to destroy them all ... and change the course of history. I had the pleasure of interviewing a favorite author of mine: Evan Ronan. He is the author of The Unearthed series, a series that I have thoroughly enjoyed. I'm waiting very impatiently for the next of that series to come out. Evan: I've been writing seriously for almost ten years (yikes!). After years of hearing "No thanks" from agents and editors (or getting no response at all), I decided to give indie publishing a try and so far it's been such a rewarding experience. I've gotten a lot of positive feedback from happy readers, which is awesome, and am slowly building a readership. I hope some day I can write full-time for a living. Career-wise, I've done many different things over the years which has provided me with a diversity of experience that informs my stories. I have a full-time job and fit in writing wherever I can, usually late at night, and I'm normally trying to juggle multiple stories at the same time, for better or worse. I'm happily married to a wonderful woman that supports me in my dream of writing for a living and I'm father to a couple great kids. I'm a lucky man. 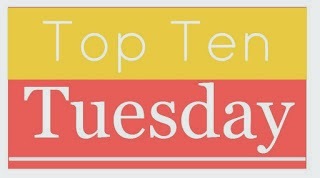 Top Ten Tuesday was created by The Broke and the Bookish so everyone can create lists of their favorite books. I haven't done very many of these but I love making lists, so why not? Ten books I wish I could read with my book club, if I had a book club. 1.The Whispers of the Fallen- Rebellion by J.D. Netto. The Whispers of the Fallen was a lot of fun to read so I can only imagine the sequel would be even more fun. I'm planning on reading it before the third book comes out.